Norwegian shipbuilder Ulstein Verft has awarded a contract to Hydroniq Coolers to deliver a hull-integrated seawater cooling system for a polar expedition vessel the shipbuilder is constructing for Lindblad Expeditions Holdings, Inc.The expedition vessel, designed by Ulstein, will be the first polar new build in the Lindblad Expeditions-National Geographic fleet. Lindblad Expeditions Holdings, Inc. is an expedition travel company that works in partnership with National Geographic to inspire people to explore and care about the planet. ALMACO secured the order to build 1121 passenger and crew cabins plus all the galleys, bars, pantries and provision stores, including cold rooms, freezers and walk-ins, for Viking Line’s newbuild at Xiamen Shipbuilding Industry Co., Ltd. (XSI) shipyard in China. For the accommodations portion of the order, ALMACO’s contract includes visual turnkey with some background works for all passenger and crew cabin areas as well as crew public areas.The catering areas delivery involves the visual turnkey installation, including flooring, wall and ceiling stainless steel panels, of approximately 800 sq. The smart terminal solutions provider Konecranes has received another order for the delivery of an Automated RTG (ARTG) System to PT Prima Terminal Petikemas, a subsidiary of state-owned port operator PT Pelabuhan Indonesia I (Persero).The ARTG system on order includes 12 ARTG cranes with associated software, interfaces and services, said a press release from the company.The 12 ARTGs will be delivered in January 2020 to Belawan Container Terminal, Phase 2 in Medan, North Sumatra. The Austrian petrochemical company Borealis has announced that it is to build a new production plant on its existing site in Kallo, in the Antwerp port area.According to a press release, the propane dehydrogenation (PDH) plant will use the very latest technology in terms of sustainable production and energy efficiency. With this initiative the port of Antwerp confirms and reinforces its role as the largest chemical cluster in Europe.The intention to build a new PDH plant to convert propane into propylene has been known for some time. Royal Boskalis Westminster N.V. (Boskalis) has acquired a sizable logistical management transport contract and has received a letter of award for the transport and float-over installation of an offshore platform with a combined contract value of approximately USD 65 million. The global services provider operating in the dredging, maritime infrastructure and maritime services sectors said that the logistical management contract scope is for the transportation of a large number of modules from a fabrication yard in Asia to a plant being developed in North America. China will shut down more outdated steel plants and bring total capacity to less than 1 billion tonnes by 2025, the president of the country's steel industry association said, adding that national demand for the metal is set to decline gradually. With more than three quarters of firms suffering losses as a result of a price-sapping capacity surplus, China vowed in early 2016 to shut 150-150 million tonnes of annual production in five years in a bid to raise profitability and utilisation rates in the sector. Its capacity then was estimated at 1.2 billion tonnes. Havyard Group will be delivering the design for seven battery-powered ferries to Norwegian transportation company Fjord1, five of which will be built at the company’s own shipyard. Havyard and Fjord1 will thereby continue their partnership to achieve a green revolution on the Norwegian fjords. With this contract, Havyard Group has orders for 13 battery ferries at its own yard and has sold 12 battery ferry designs. "We have put the ferries in operation by using advanced simulation tools, this way we could optimize them to the outmost. Royal Boskalis Westminster N.V. (Boskalis) has received a Letter of Award from the Maritime and Port Authority of Singapore (MPA) for the port development project Tuas Terminal Phase II in Singapore, also referred to as Tuas Terminal Finger Pier 3. The contract value for the consortium, including Penta Ocean Construction Company and Hyundai Engineering & Construction Company, is approximately SGD 1.46 billion. Boskalis' share in the consortium is 30% with a corresponding contract value of approximately EUR 300 million. The newly built containership MV COSCO Shipping Aries, recently delivered to COSCO Shipping Lines, is the first ever containership to receive Lloyd’s Register’s (LR) cyber-enabled ship (CES) descriptive note “Cyber AL3 SECURE PERFORM” for its energy management system. The 20,000 TEU ship was built by Nantong COSCOS KHI Ship Engineering Co., Ltd (NACKS). “MV COSCO Shipping Aries is the first 20K TEU level ultra large containership built in Chinese shipyard owned by COSCO Shipping Container Lines. MPI Contractors B.V. has signed a contract with Eneco Windmolens Offshore B.V. to provide offshore transport and lifting services during main component replacements planned for wind turbines in the Prinses Amaliawindpark. This Agreement, which will take effect on 1 January 2018, is for a period of five years, with options to extend for a further three and two years. During this period, MPI will mobilise one of its wind turbine installation vessels (WTIVs) for two planned campaigns per year. DP World London Gateway Port reduced its carbon emissions by 28 percent per TEU (twenty foot equivalent unit/container) in 2016. This reduction in emissions per container handled was captured by The Planet Mark, meaning that DP World London Gateway Port has achieved continued certification to the internationally recognised sustainability certification program. The Port was found to have cut its emissions per TEU by more than a quarter in 2016 versus emissions recorded in 2015. 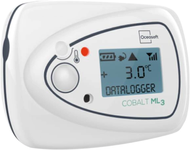 OCEASOFT leverages cutting-edge IoT communication networks to support shipping and logistics cycles for temperature-sensitive products with its new mobile temperature data logger, Cobalt ML3, featuring LoRaWan, the LoRa Alliance’s long-range communication protocol. Tracking the temperature of sensitive and perishable products during transport is a real industry challenge. The growing requirement for traceability has led to increasing expenses related to monitoring the cold chain: it is expected that 6.23 billion dollars ($) will be spent annually for monitoring by 20221. Maersk Container Industry is introducing an energy meter with its Star Cool refrigerated containers. Star Cool refrigerated containers are now fitted with a new embedded digital feature that offers visibility and precise knowledge of actual energy consumption. To provide transparency into actual energy consumption throughout the transportation window, over land and sea, Maersk Container Industry (MCI) is introducing an energy meter feature integrated into all new Star Cool refrigerated containers. Norwegian ship yard Fjellstrand AS has signed a contract with Norwegian ferry operator Fjord1 for the building of a new ZeroCatTM 120 car ferry. Fjellstrand was also responsible for building the car ferry MF Ampere which wrote history in 2015 as the world’s first full electrical ferry. The yard had a central position in the introduction of new battery technology in the ferry market. The new ferry is a further development of the MF Ampere and will be equipped for higher speed and longer range. Three New England projects have been awarded nearly two million dollars under the U.S. Environmental Protection Agency’s (EPA) competitive national grant competition to reduce diesel emissions. The grants, totaling $1,975,000, were made under the Diesel Emissions Reduction Act (DERA). The funding will assist the Connecticut Maritime Foundation, the Massachusetts Port Authority and the Massachusetts Bay Transportation Authority in marine vessel repowering and vehicle replacement projects. Diesel engines contribute significantly to air pollution, especially in urban areas. Hamburg Süd has been awarded gold, the highest-possible recognition level, for its evaluation completed in July 2016 by the supply chain sustainability network EcoVadis. The scorecard provided by independent sustainability expert EcoVadis indicates that Hamburg Süd has achieved advanced sustainability management practice. Hamburg Süd received an above-average rating in all categories. In the category “Environment,” Hamburg Süd even set a new benchmark in the industry sector “Sea and coastal water transport” with the high score of 90 points.